Kiwifruit often referred to as Kiwi or Chinese gooseberry is a fruit known for its high content of Vitamins. Kiwi has always attracted people because of its evergreen and exotic taste. The origin could be traced to as far back as 1904 when it was classified as an ‘edible fruit with the size of a walnut’. 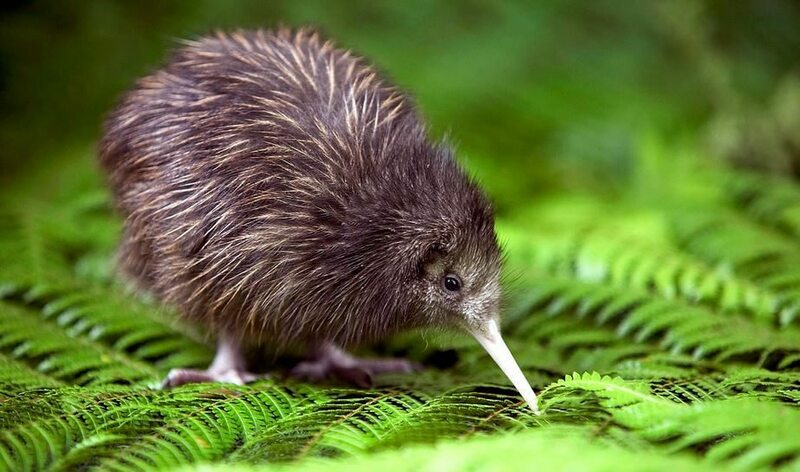 In 1962, New Zealand started calling it the kiwifruit and in 1966 when it was imported from New Zealand to America; the Americans shortened the name to Kiwi. Kiwifruit was named after the kiwi bird (an unusual flightless bird in New Zealand) because they are small, brown and fuzzy. This amazing fruit contains almost 20 vital nutrients and five times the Vitamin C in an orange, which shows that kiwi can legitimately be called a super fruit. This fuzzy brown powerhouse with bright green flesh also contains vitamins A, B, E and K, Potassium, Copper Folate and Fibre. 1. Boosts Your Immunity: for its high content of Vitamins C and E, two medium Kiwis gives about 230 percent of the recommended daily allowance of Vitamin C, almost twice that of an orange. Studies have shown that Vitamin C boosts the immune system and fights stress and ageing. It also promotes healing and iron absorption for healthy bones, blood vessels, and teeth. In addition to their vitamin C goodness, kiwis contain a rare, fat-free form of Vitamin E which is a potent antioxidant said to help lower cholesterol and boost immunity. Vitamin E also helps to protect the skin from degeneration. Both vitamins (C and E) act as antioxidants and are being studied for their potential to help protect against cancer-causing cell damage. 2. Helps Manage Blood Pressure: kiwifruit contains about 30mg of magnesium. Magnesium is crucial to nerve and muscle function and it boosts energy level. With 20 percent more potassium than a banana, it’s a great way to get this essential mineral that helps manage blood pressure, along with a decreased risk of kidney stones, osteoporosis and stroke. 3. Helps Fight Heart Disease: Eating 2 to 3 kiwis a day has been shown to reduce the potential of blood clotting by 18 percent and reduce triglycerides by 15 percent. Many individuals take aspirin to reduce blood clotting, but this causes many side effects including inflammation and intestinal bleeding. Kiwifruit has the same anti-clotting benefits with no side effects, just added health benefits. 4. Suitable For People With Diabetes: Kiwifruit is in the low category for glycemic index and it does not raise your blood sugar quickly. It has a glycemic load of 4 which means it is safe for people with diabetes. 5. Helps Protect Against Macular Degeneration And Other Eye Problems: Macular degeneration is the leading cause of vision loss in adults. Studies have shown that men and women eating at least 3 servings or more per day have decreased macular degeneration by 36 percent. Kiwifruit contains the phytochemical lutein and zeaxanthin – both are natural chemicals found in the eyes. They are carotenoid vitamins that can prevent age-related blindness. It also protects the eyes from different kinds of radical damages. 6. Creates Alkaline Balance: Kiwifruit is found in the most alkaline category of fruits, which shows that it has a rich supply of minerals to replace the excess of acidic foods most individuals consume. A few of the benefits of a properly acid/alkaline balanced body are youthful skin, deeper sleep, abundant physical energy, fewer colds, less arthritis and reduced osteoporosis. 7. Improves Digestive Health: kiwifruit is fat-free and two kiwis alone contain more fibre than most cereals. Kiwifruit is a good option for people who need to manage their blood sugar – they have a glycemic index of 52. They‘re also fresh and delicious. In a way, they help to maintain heart health, regulate digestion and manage cholesterol. 8. Tastes Delicious: kiwis look and taste great. Kids often love them because they are so different from most fruits. Kiwis are perfectly natural (simply peel and slice). Combining with strawberries for delicious fruit tarts. You can also start by adding kiwi to your next shopping list.